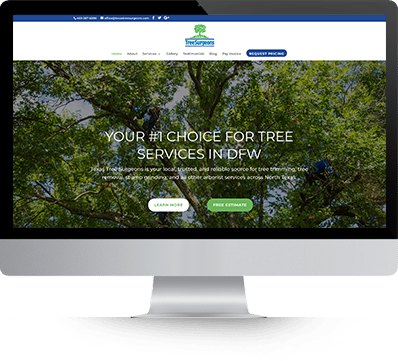 In the midst of a rebrand, Texas Tree Surgeons came to us in need of a new website to match their new brand. 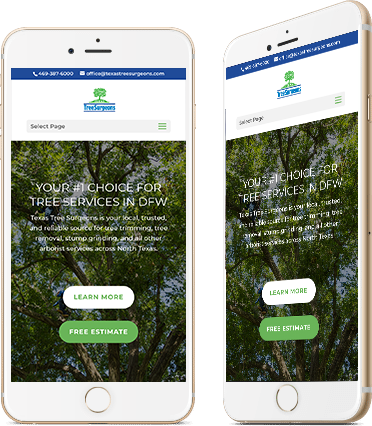 So, we got to work developing and designing a site that not only fit their new brand, but also reminded people of where they came from. 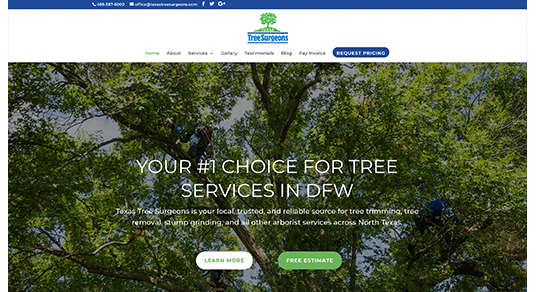 We were very happy with how this site turned out and really enjoyed working on this project with Texas Tree Surgeons. We hope that this new design helps to create new business opportunities for them in the future.